Brad Lyons is the president and publisher of CBP/Chalice Press. The Oklahoma native and award-winning journalist is the extremely lucky and proud father of three kind, funny, and smart kids and custodian of a goldfish whose name (and, unfortunately, actual identity) changes almost as frequently as the aquarium filters. Brad graduated from the University of Missouri School of Journalism with an emphasis in magazine editing. His newspaper reporting career took him to daily papers in Oklahoma, where he was recognized for excellence in reporting and writing for articles covering the Kairos prison ministry project and the 1995 bombing of the Oklahoma City federal office building. He worked in leadership development for the Christian Church (Disciples of Christ) and earned his MFA from the University of Missouri-St. Louis. He lives in suburban St. Louis. Bruce Barkhauer teaches generosity for a living. A noted speaker, educator, consultant, and writer, Barkhauer brings creativity, energy, fresh, and sometimes humorous thought into conversations about stewardship as a practice of faith and spiritual discipline. Barkhauer served as a parish pastor for 25 years before accepting a call to serve as the first Minister for Faith and Giving for the Christian Church (Disciples of Christ), a traditional mainline denomination. He is a graduate of Ohio University and Christian Theological Seminary. He believes that caring for the earth so that it may flourish is a divinely instituted human vocation and that our very lives depend on successfully carrying out this prime-directive to manage our resources well. He is married to Laura, and they share three children and three grandchildren. They live in the northern suburbs of Louisville. On a not-too-hot evening in July 2015, Brad was on his way home from a conference in Appalachia and stopped in for the night at Bruce and Laura's home in surburban Louisville. As is Barkhauer tradition, bourbon was served, and the idea of a devotional based on America's national parks evolved as the Angels Envy dwindled. It took two years to decide, "yeah, maybe we oughta do this." And off they went! Bruce and Brad went to work - and as many parks as possible - during the summer of 2018. Most of the photos in the book will be from the National Park Service, which has a huge, beautiful repository of public domain photos on its website. 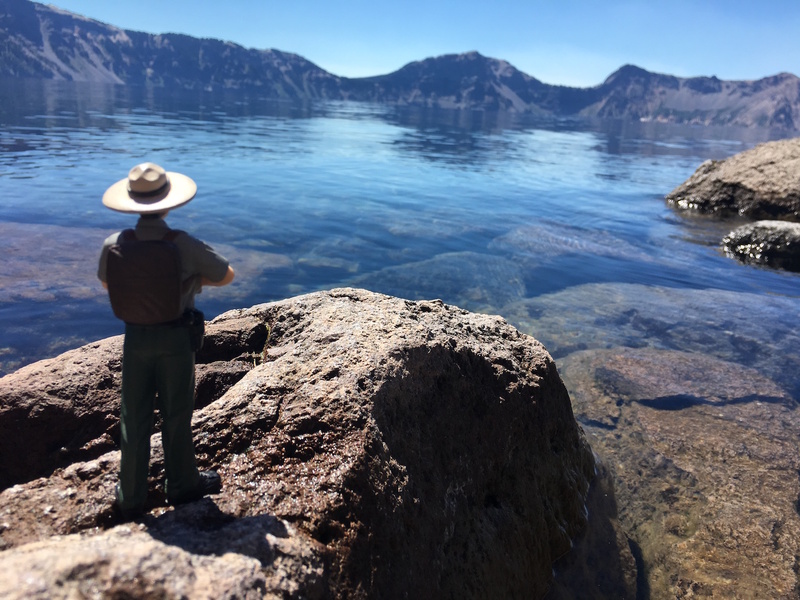 But some of the photos will be from Brad and Bruce's travels over the years, like "Nate Parker's Summer Adventures" that took him to 10 national parks and several other historic sites. Vicky Shea of Ponderosa Pine Design created the cover using photos from the authors.